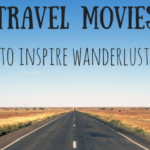 Looking for a travel inspired gift for your favorite couple or a gift that you and your significant other can enjoy together? We’ve put together the best gifts for travel couples. These are perfect for Valentine’s Day, anniversaries, wedding gifts, housewarming gifts, holiday gifts. Looking for some ideas for a romantic getaway? This book about the world’s most romantic destinations and this book about the ultimate journeys for two should provide plenty of inspiration for future getaways with your significant other. A headphone splitter allows you to connect two headphones so you can both listen to music or watch a movie together while traveling. Couples that travel might enjoy matching his and hers luggage tags. These matching passport holders come in a variety of travel inspired designs and can even be personalized with your names or initials. 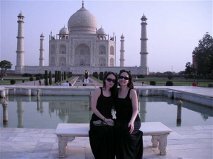 A photo album scrapbook is a great way to store photos from your travels as a couple. Use this scratch off world map to keep track of your travels together. This travel fund piggy bank is a cute gift for couples saving up for a honeymoon, anniversary trip or romantic trip together. A selfie stick is useful for pairs obsessed with getting the perfect couple shot. A lightweight tripod is also useful for couples that want to take photos that they are both in together. Lightweight and portable, this double hammock is a perfect for couples that want to lounge together outdoors on vacation or at home. Couples that enjoy camping could use a sleeping bag for two. If you want to splurge on a gift for your travel loving honey, it does not get much better than a travel drone. The DJI Mavic Air gets good reviews and is small, foldable and easy to pack. The DJI Spark is smaller and more affordable option. For travelers that enjoy the newest gadgets, check out the new DJI Mavic 2 Pro and Mavic 2 Zoom. 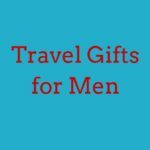 Want more travel gift ideas for your favorite traveling couple? 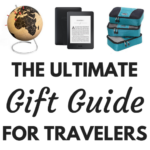 See our list of 67 Gift Ideas for Travelers. 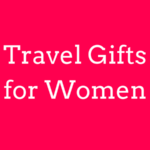 Do you have any additional gift suggestions for couples that travel?